Amazon.com will use robots to deliver packages in the suburbs north of Seattle, its latest experiment to automate the last mile of delivery that is a labor-intensive and costly component of buying products online. The e-commerce giant on Jan. 23 announced a trial of “Amazon Scout,” autonomous delivery devices the size of a cooler that roll along sidewalks at a walking pace. 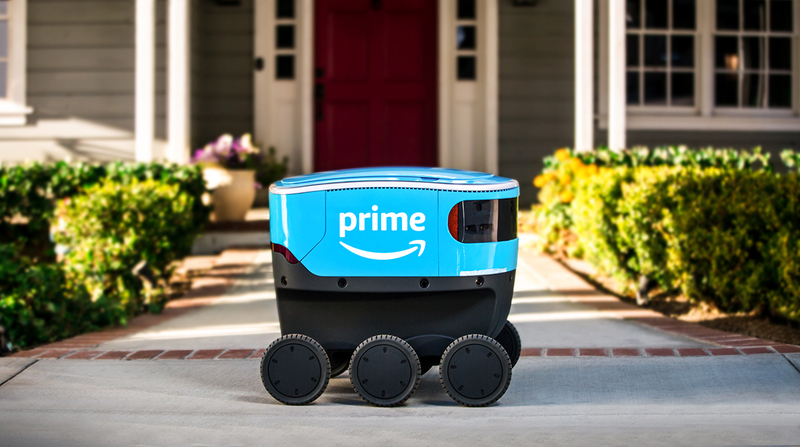 It will use six robots, which are designed to navigate around obstacles such as people and pets, to deliver packages in Snohomish County. The robots will be used to make deliveries Monday through Friday during daylight hours. Using robots to make deliveries outside on city streets will be much more challenging than most current common uses, such as moving items around in warehouses, hospitals and hotels that are well-lit and have level floors, said Dan Kara, vice president of robotics at WTWH Media. Outside, robots encounter extreme weather conditions, steep inclines, curbs and other problems that present significant engineering challenges. Amazon uses robots to move inventory in its vast network of warehouses and has been working on delivery by autonomous drone for years. The experiment brings the technology to a job mostly handled by people, including drivers with UPS Inc. and the U.S. Postal Service. About 1.4 million people were employed as delivery truck drivers in 2016, according to the Bureau of Labor Statistics. Amazon last year launched a program to encourage people to start their own businesses delivering packages in vans to help expand capacity and reduce its reliance on UPS and FedEx Corp. Startups experimenting with similar robots include Kiwi, which is using robots to make deliveries on the campus of University of California-Berkeley. Savioke makes robots used to deliver items in hotels and hospitals. And Starship Technologies said this week that George Mason University in Fairfax, Va., would use 25 of its autonomous robots to deliver food to students.